The Seattle round of Monster Energy Supercross is notorious for it’s unpredictable weather conditions, but the fans and industry attending the 2014 round at CenturyLink Field were fortunate enough to experience warm weather and clear skies that endured throughout the day. 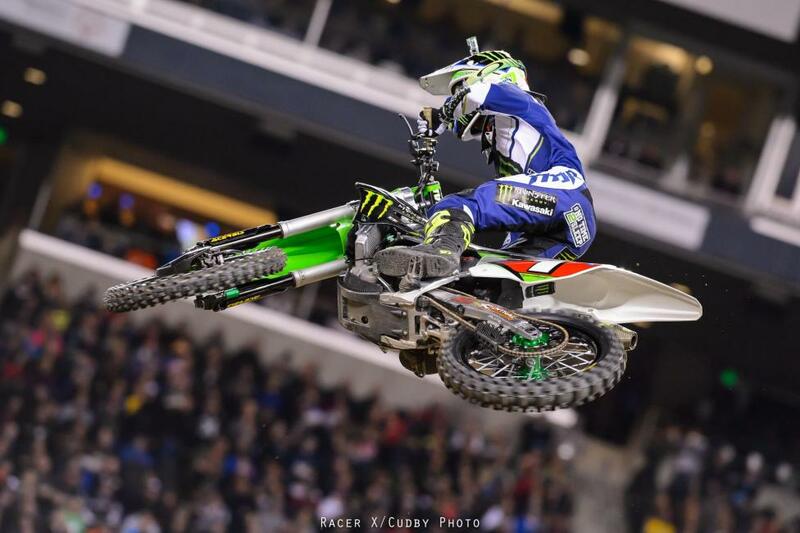 After failing to qualify through his heat race, Monster Energy Kawasaki’s Ryan Villopoto tallied convincing 450SX wins in both the semi and main event in front of his home state fans. As for 250SX racing, Lucas Oil/TLD Honda’s Cole Seely captured a much needed win that will keep his 250SX West title hopes alive as the field enters the final round in Las Vegas. Let’s take a look at how the night broke down in the Pacific Northwest. 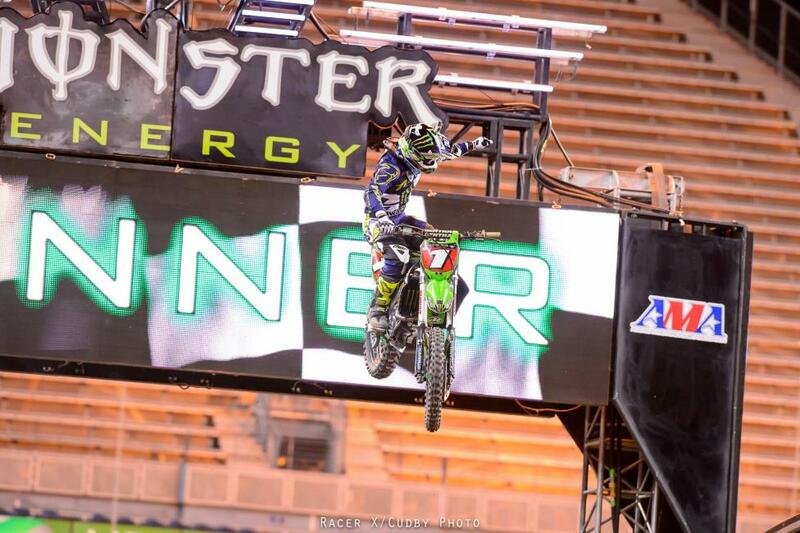 Villopoto exited the first turn with a slight edge over Red Bull KTM’s Ryan Dungey. 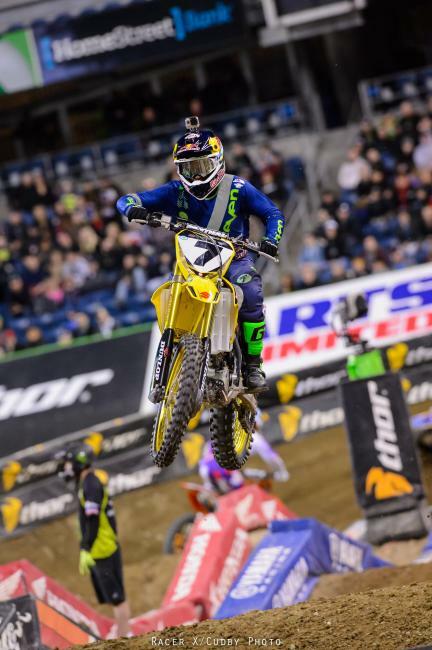 The duo was followed up Andrew Short, James Stewart and Ken Roczen. 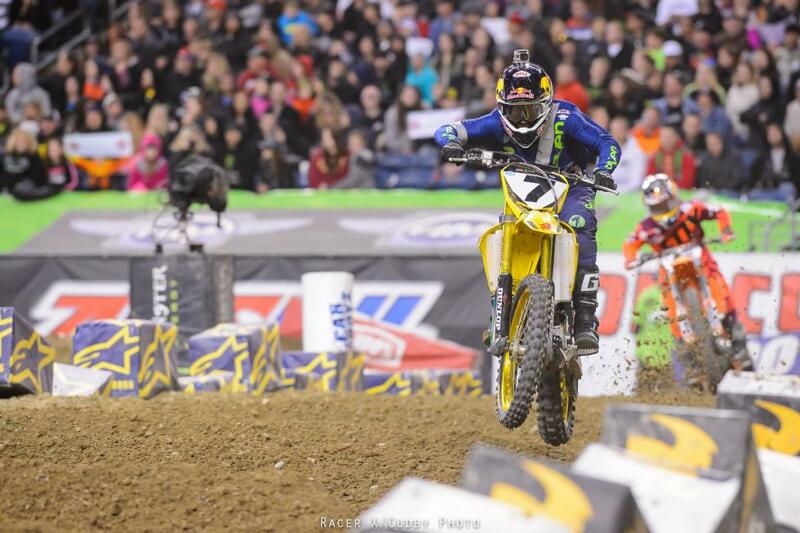 Photo: Cudby Stewart was able to get around Short and into podium position during the opening lap. 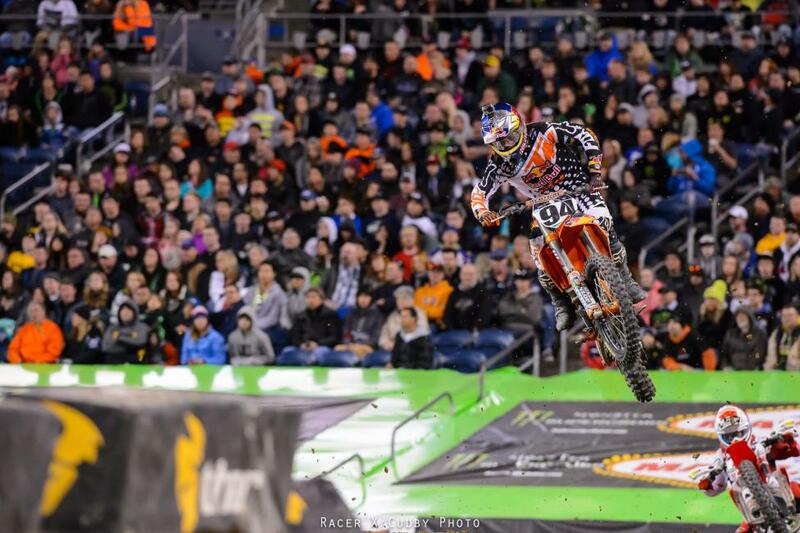 He then moved up on Dungey and passed the KTM rider a couple laps later. Stewart began to put together a quad in one of the rhythm sections, but he wasn’t pulling it consistent enough to do it for more than a few laps. Photo: Cudby Both Justin Barcia and Eli Tomac passed Short to land themselves top-five positions. Photo: Cudby Roczen—who fell back to ninth earlier in the race—pulled up behind Short but was unable to find a line around the 450SX veteran. 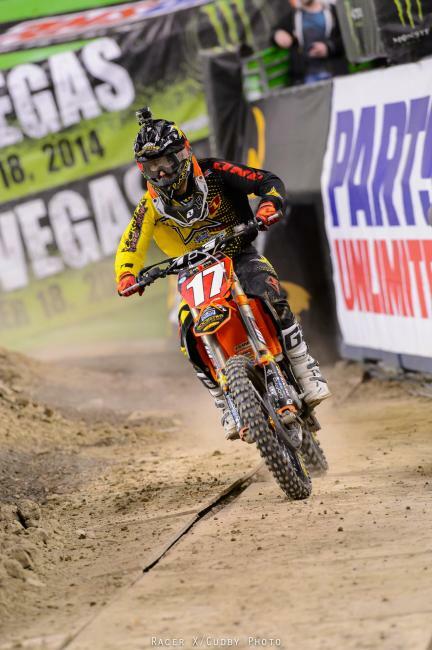 Roczen eventually passed Short, but not before Trey Canard made fairly quick work of both of the KTM riders for sixth. 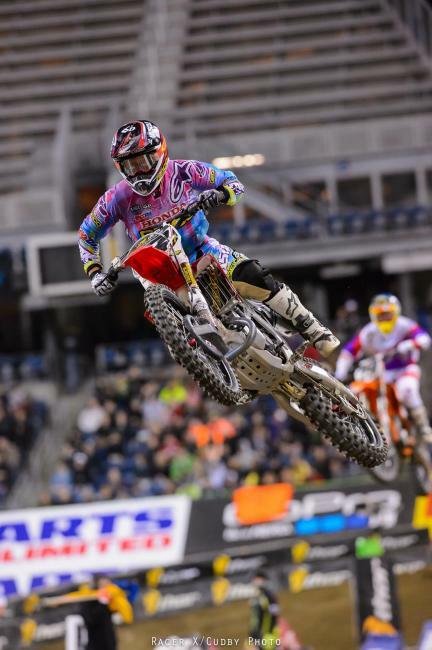 Photo: Cudby Stewart was closing the gap on Villopoto early in the race, but perpetual small mistakes from Stewart diminished any hopes of catching the three-time 450SX champ. 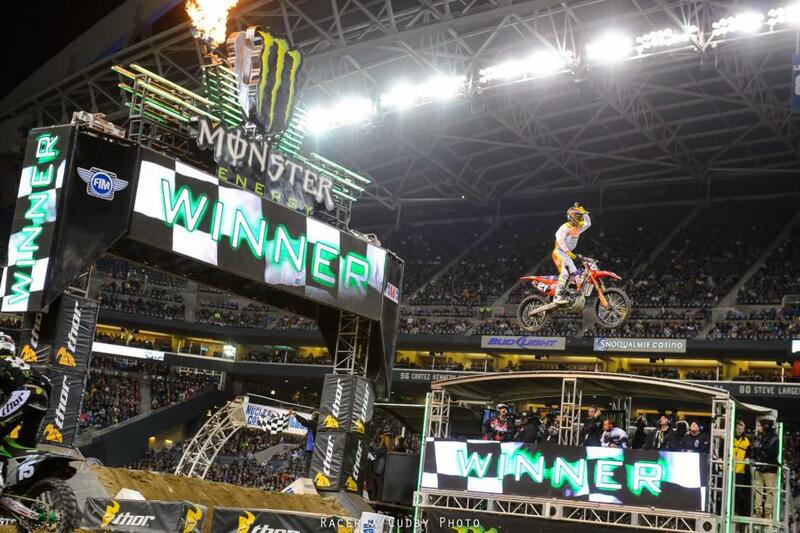 Photo: Cudby The Washington fans were on their feet during the last lap as Villopoto rode to his fifth main event win of the season. 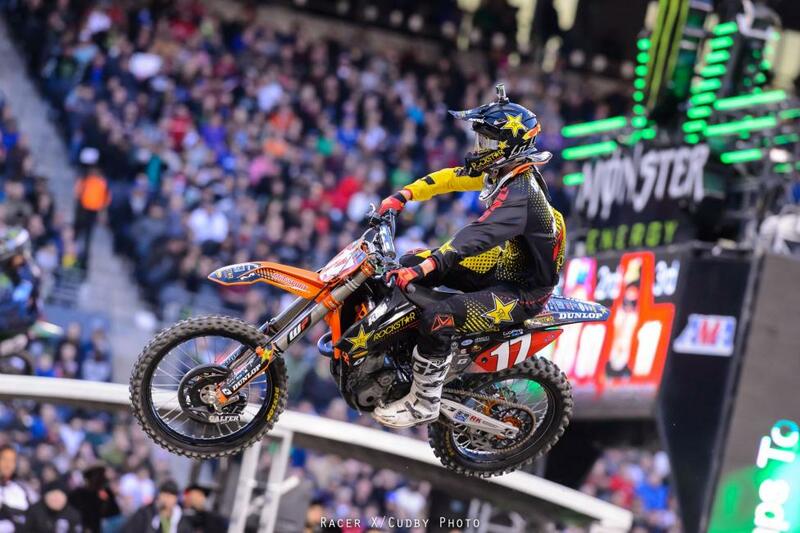 Stewart and Dungey rounded out the podium. 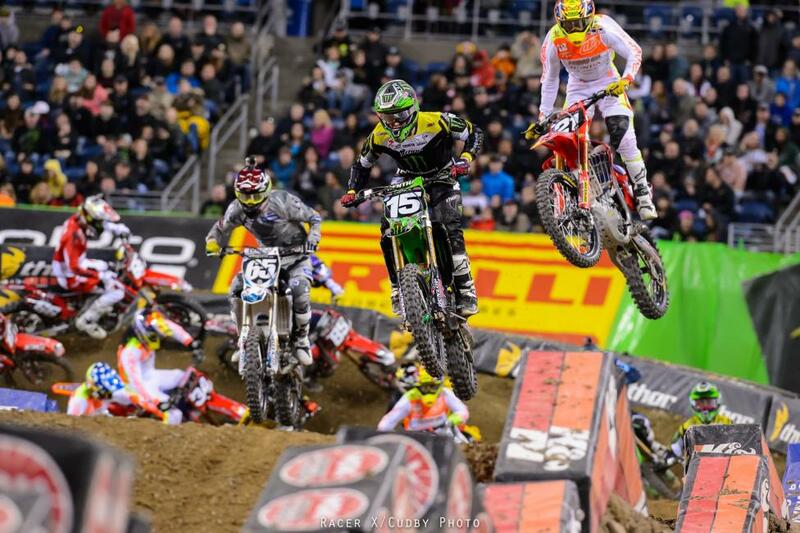 Photo: Cudby Another Kawasaki rider grabbed the holeshot in the 250SX main event. Monster Energy/Pro Circuit Kawasaki’s Dean Wilson led through the first turn and most of the opening lap before succumbing to eventual race winner Cole Seely. Photo: Cudby Wilson’s teammate and Washington native Justin Hill moved from fourth to third to challenge Wilson for second. Wilson ended up throwing it away with a tip-over in a deeply rutted inside corner. Photo: Cudby Points leader Jason Anderson started the race in seventh and quickly made his way around Zack Freeberg, Cooper Webb and Jessy Nelson to claim fourth. He inherited third once Wilson went down. 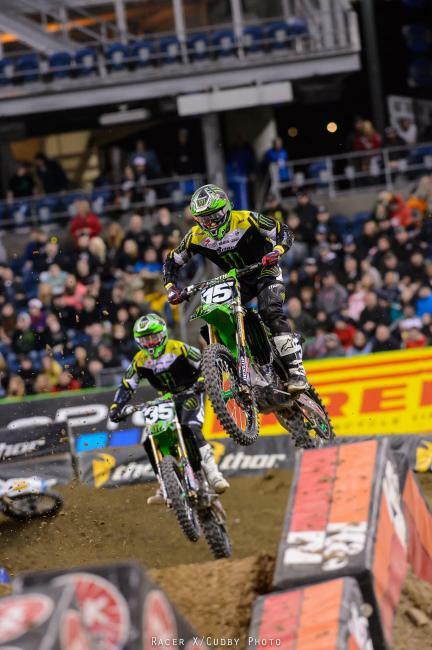 Photo: Cudby Hill and Anderson had a bizarre battle for second that saw Anderson put convincing passes on Hill three times before producing a lasting effect. While in second, Anderson lost his front end in a bowl turn, came back to pass Hill, then went off the track after a triple and skipped the entire next lane. He didn’t gain any extra ground on Hill by doing so and later got Hill again for the final time to secure second place. Photo: Cudby Meanwhile, Seely rode his own race out front and went on to win his second race of the season, putting him eight points down from Anderson with one race left in the series. Anderson claimed second while Hill took third.